Who do you turn to when you want to both know the real history of the pluripotent stem cell-based biotech industry and perspectives on its future? There are only a handful of people and one of them is definitely Dr. Michael West, CEO of BioTime. I’m doing a several part series of blog posts on a lengthy phone interview and conversation that I had with West. Today in Part 2 we are focused on clinical development of human ES cells and what happened with Geron. You can see Part 1 here on the history of the field. By way of background, for a time Geron led the way in clinical translation of ES cell-based therapies having the first and for a time the only human ES cell-based FDA approved clinical trial. Today the picture is quite different as Advanced Cell Technology (ACT; ACTC) is the only company currently with active FDA-approved clinical trials for transplantation of an ES cell-based product. Part of the reason for this new reality is that Geron, under new management, made the decision to drop its ES cell program for treatment of spinal cord injury. Despite some issues with the Geron stem cell program described to me by West (including a key, but not insurmountable flaw that is a challenge for almost the entire stem cell field according to West that I will discuss in Part 3 of this series), West felt Geron could have proceeded with the program. In part that new management was new CEO John Scarlett, who replaced Thomas Okarma. What I heard at the time was that Scarlett was a “cancer guy” whereas Okarma was more of a “stem cell guy” and that difference may have had something to do with the decision. However, now I’m not so sure it was that simple. At the time, one of the challenges that Geron faced was that its oligodendrocyte/oligodendroglial precursor cell (OPC) product made from human ES cells had formed cysts in animals transplanted with the OPC product. 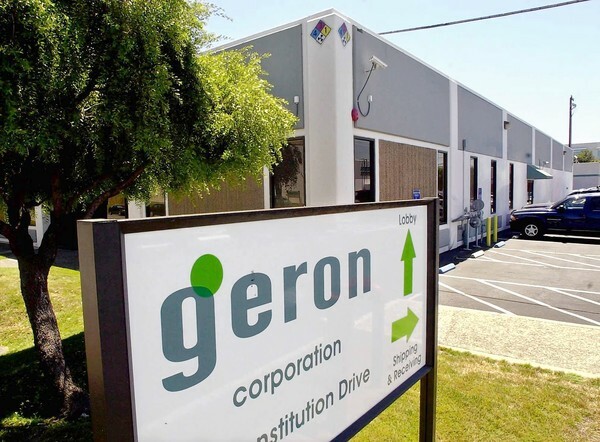 Eventually the FDA green lighted Geron to proceed, lifting the hold. “….just because a hold is lifted and an early trial proceeds, doesn’t mean the FDA would ever give final approval to market a product in the end”. This concern may have been at the heart of Geron’s decision to move on from stem cells, but West made it clear he believes in this research and its clinical application. West is of course now pursuing the continuation of this former Geron stem cell trial in a new incarnation via BioTime. While West indicated that the deal between Geron and BioTime is not yet official, I don’t see any reason it won’t be finalized. In Part 3 of this series, I talk with West about the key flaw in the approach of so much of the pluripotent stem cell field and indeed the stem cell field more generally in some respects. Later in the series I will discuss West’s proposed solution.